As We Get It is exactly what it says it is, a natural cask strength whisky bottled straight from the cask. 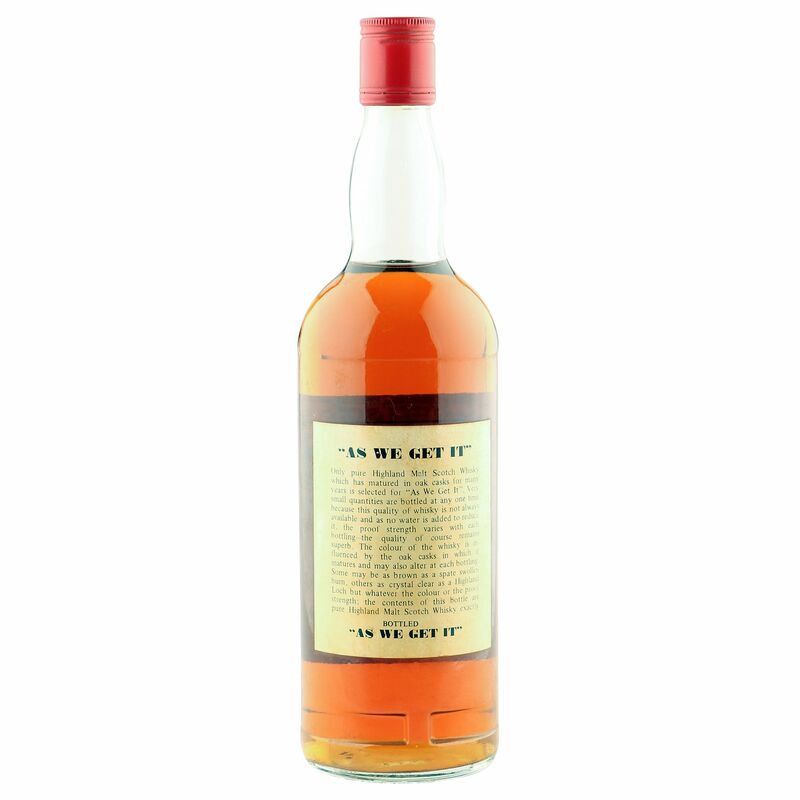 This No-Age-Statement Speyside single malt was distilled at The Macallan and bottled in the 1980's by J.G. Thomson & Co. Ltd at 104 proof (or 59.9% ABV). There are a few age spots and areas of slight discolouration on the label, but don't let that detract anything from this remarkable bottling.